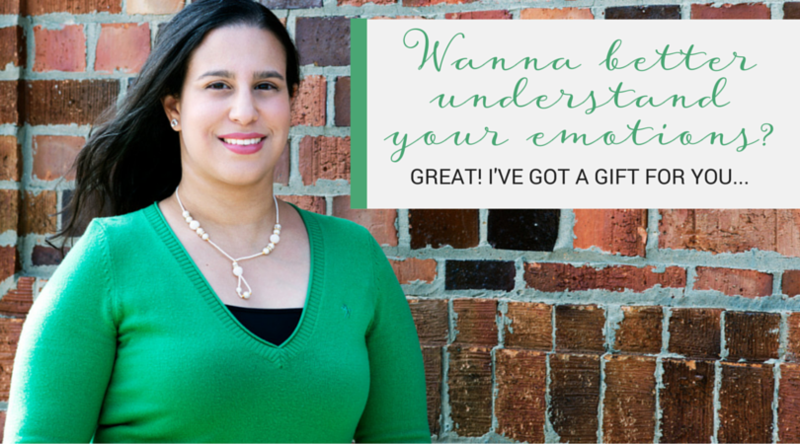 I have a question for you: do you often feel misunderstood and as though no one gets you? Do you find it difficult to express your true emotions to someone because you feel they might judge you and reject you? Well I have news for you: most people feel this way but they're not game enough to admit it. It took me awhile to figure out my own emotions let alone express them to the one person who would truly give me UNDIVIDED attention for 3 hours per week (and this was pro bono mind you): my psycho-dynamic therapist. It was during my sessions in therapy that I achieved an incredible breakthrough with myself and finally understood the one thing that was holding me back from expressing myself in truest form: my EMOTIONS. My Ultimate Emotional Mastery Toolkit eBook and my website (including Emotions Library) have been my biggest goal + projects I set out to publish in this year of 2016 and this eBook is literally me on a plate. In this eBook, you'll read about the four basic principles that helped me develop my emotional health over 2 years and the seven simple steps I undertook to understand, process and release my emotions. This resource is filled with some of the best nuggets of wisdom I have to offer including my go-to essential oils for some of the big emotions I experience day to day. By putting your details below, you'll be signing up to receive my periodic email updates, new blog posts, promotions I really think would be useful for you and of course any news about how I am updating Emotions Library which will help you release your emotions using the right essential oils for you. I can't promise I'll bombard you with communications (cheeky wink) as I lead a busy life helping others with their digital marketing but I love to chat so please feel free to reach out and ask me what's new! I can't wait to help and serve you through the process of figuring out what to do to achieve better emotional health using my resourceful toolkit!